The abundant supplies of crude oil being produced in North America, combined with significant investments by Midwest refiners, are providing consumers to our west with more low-cost, secure, domestically manufactured fuels. Buckeye — which for more than 60 years has invested in Pennsylvania and employs more than 400 people across the state — wants to ensure this new opportunity is delivered to families and businesses here. Specifically, we have proposed to the Public Utility Commission (PUC) to reverse a portion of the Laurel Pipe Line between Pittsburgh and Altoona in order to bring up to 40,000 barrels a day of more affordable fuel from the Midwest to the Altoona region. Currently that portion of the pipeline delivers fuel to Pittsburgh from the East Coast, which is increasingly underutilized. The compelling factors driving the reversal are clear and straightforward. Abundant and more affordable Midwest-produced fuels — driven by basic supply and demand fundamentals — are seeking expanded access to meet growing consumer demands. 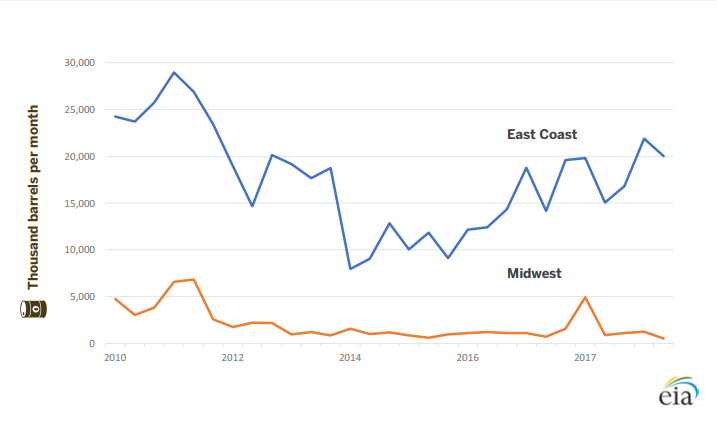 This trend has been building for nearly a decade, resulting in a dramatic drop in shipments on Laurel from the East Coast. This is a big change, driven by clear market forces related to U.S. energy abundance and security. The Northeast U.S. relies heavily on refined products from overseas and the U.S. Gulf Coast. 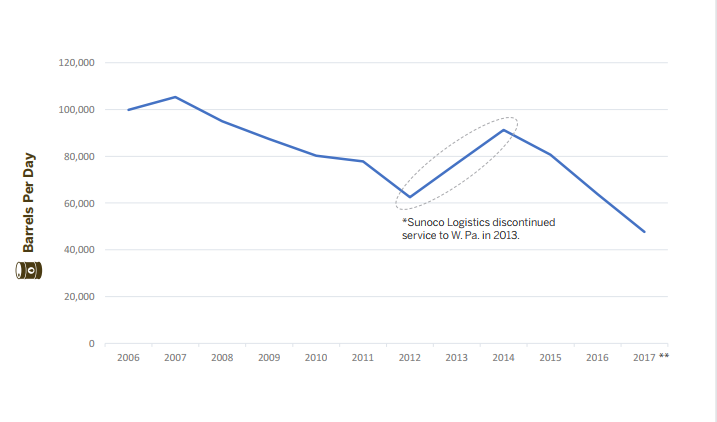 The partial reversal of Laurel would provide Pennsylvania consumers with greater access to supply from Midwest refineries, while reducing dependence on overseas imports.